When it comes to the hopes for an entire hockey season, Boston Bruins goaltender Tuukka Rask has the keys to the kingdom. As he goes, so goes any optimism that the team that was a Stanley Cup contender just two seasons ago can be more than a middle of the pack team in 2015-16. Rask’s journey from former first-round selection of the Toronto Maple Leafs a decade ago to Boston farmhand and Tim Thomas’ backup to NHL elite performer and workhorse has been a model of consistency and patience. Even though he was the 21st overall selection in the 2005 NHL Entry Draft, he wasn’t rushed to the big league before he was ready, but instead given an opportunity to compete in his native Finland’s top pro league and play most of the high profile international tournaments before he played a single professional game in North America. When the Bruins acquired him for one-time Calder Trophy winner Andrew Raycroft in 2006, Rask had already forged a sterling reputation as one of the most promising young goalies in the world. Little did anyone know that aside from Thomas’ injury-riddled 2009-10 hockey season which opened the door for Rask to emerge as an NHL regular and playoff starter, it would be another six years before Rask finally stepped into the limelight as the No. 1 for Boston, a distinction he put an exclamation point on when he won the 2014 Vezina Trophy. 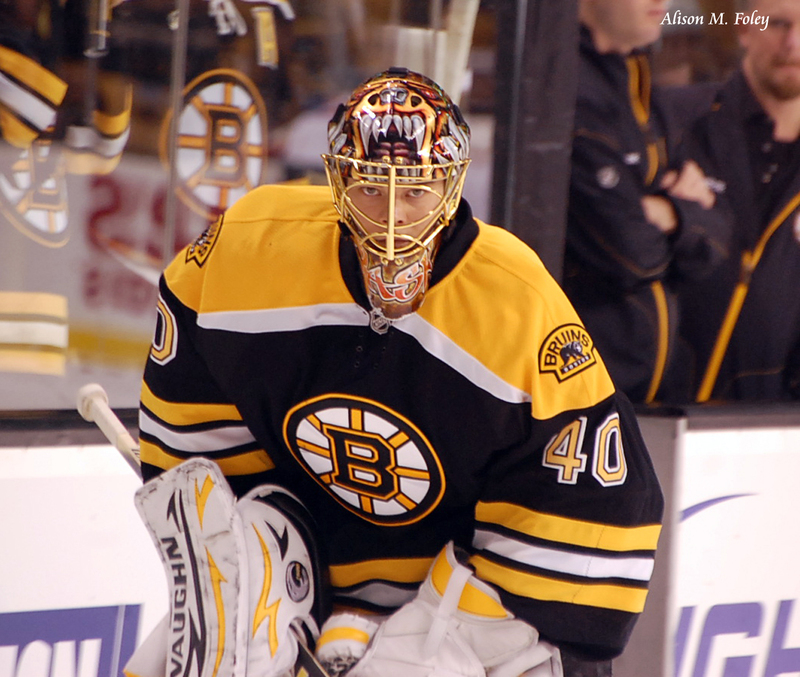 Then (2005 draft and beyond): Rask entered the 2004-05 season as a favorite to be a top-30 pick. Just the year before, Rask had shined for Team Finland at the Viking Cup in Alberta, impressing scouts with his athletic ability and penchant for performing under a barrage of shots. He made the 2005 Finnish World Jr. squad which competed in Grand Forks, N.D. (when Patrice Bergeron, Sidney Crosby and Phil Kessel all made significant splashes) at age 17, but struggled on the big stage in that tournament. Still, his stock was high entering the draft that summer (the actual event was not held in usual fashion due to the lockout) and Toronto pounced on him with the 21st pick- right in front of Boston, who reportedly were set to make Rask their selection despite having drafted fellow Finn Hannu Toivonen just three years earlier. They ranked him 14th overall and the third-best goaltender available behind Carey Price and bust J.P. Levasseur, but here is some of what Red Line Report had to say about Rask in 2005: Bit of an engima all year- very inconsistent. The old Rask we know and love plays with confidence and swagger. Squares up to shooters very well. Goes down into butterfly early but still manages to cover top corners due to great size and flexibility. Exceptionally athletic and acrobatic. Covers a lot of net and moves smoothly side-to-side…but there were times throughout the season when he came unraveled and couldn’t make big saves to keep his team in games. This scouting report, written more than 10 years ago, could be published tomorrow and it would describe Rask in 2015 to a tee. But part of what makes Rask special is that he is so athletic and able to make stops that lesser goalies can only dream of doing. He didn’t just walk in and sit around while everything fell into place- it took time, work and patience both on Rask’s part and that of the Bruins to gradually develop him, with two full AHL years after the team signed Rask in 2007 (with brief NHL callups sandwiched in there) before he graduated to being Boston’s full-time backup in 2009-10. When Thomas struggled with a debilitating hip injury that few knew the extent of until after he made his triumphant return to the world stage in 2010-11, Rask filled the void by taking away the top job and getting the nod for Boston’s round 1 playoff series against the higher-seeded Buffalo Sabres. He was superb in dispatching the Sabres in six games, and followed that up by keying Boston to a 3-0 series lead over the Philadelphia Flyers in round 2. Alas, the wheels completely fell off and Boston suffered a historic (since helped by San Jose’s similar collapse to the Los Angeles Kings in 2014) come-from-behind defeat in seven games, with Rask and an injury-decimated B’s team dropping four consecutive games including a blown 3-0 lead in Game 7 at home. Rask’s stumbles opened the door for Thomas to return with a vengeance after surgery fixed his hip and the veteran went on to have a historic year for Boston, winning a second Vezina Trophy since 2009 and far more importantly, winning the 2011 Stanley Cup and Conn Smythe Trophy as playoff MVP. Along the way, Thomas exorcised the demons Rask could not keep at bay with a four-game sweep of the Flyers to avenge the previous spring’s embarrassment. 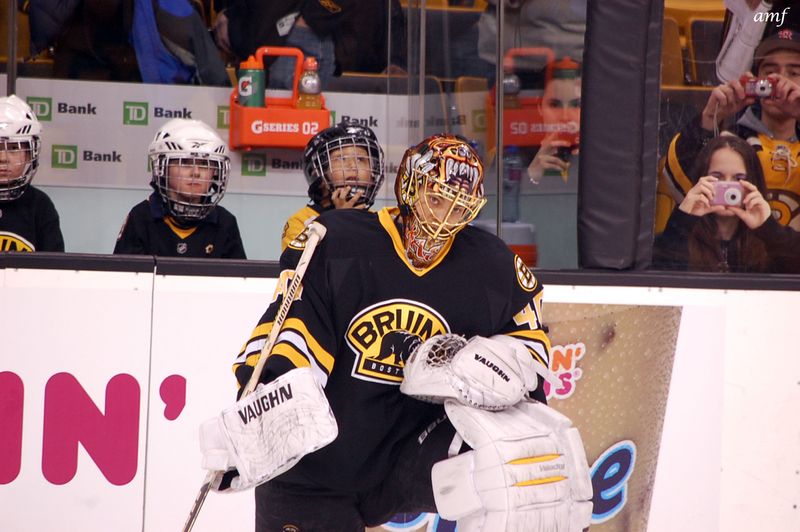 That meant another season- 2011-12- as backup (and a late-season injury curtailed Rask’s playing time that year even more)- but set the stage for an ascendance when Thomas decided he no longer wished to play for the Bruins and announced he would sit out the 2012-13 season. For a highly-touted prospect of Rask’s caliber, the pressure to win rises interdependently with expectations. Regardless, I don’t think it’s a stretch to say he’ll transition from being an “elite backup” to a “workhorse starter” smoothly. He’s not a kid anymore, he has a healthy dose of NHL experience, and he has witnessed both the drama of the Stanley Cup playoffs and the “highs and lows” of an 82-game season. You can (and should) read the entire post here. Indeed, Rask followed that path albeit through the challenges of a lockout-shortened season in 2012-13, but leading his team’s charge to the 2013 Stanley Cup final series, where the B’s lost a hard-fought six-game tug of war to the Chicago Blackhawks. That performance affirmed Boston’s belief in Rask and set the stage for an eight-year extension worth an average of $7 million per season, signed in July of that year. He justified that investment with his Vezina Trophy as part of Boston’s President’s Trophy march in 2014, but aside from an elite January 2015 run, struggled to maintain his form and consistency, finishing with season totals far below his norm. Even with that, the B’s missed the playoffs on the last night of the regular season, which leads us to where we sit today. Style analysis: Rask is the prototypical modern NHL goaltender: He’s a tall, lean, long-limbed butterfly style stopper who possesses the tremendous reflexes and competitive drive to thrive at the highest level. From a technical standpoint, he’s nearly flawless- he stays square to the shooter, tracks the puck effortlessly, reads the developing play and utilizes a smooth yet explosive side-to-side push to negate cross-ice puck movement and scoring chances. He does have a tendency to sometimes get away from the less-is-more economy of motion that top netminders employ to max benefit. Like many naturally gifted reflex-based goalies, Rask has a tendency to over-amplify his movements. In some instances, he ends up in less-than-perfect positioning on rebound chances, or in scramble situations. For him, there is such a thing as being too urgent in the crease. So when it comes to his recoveries, his post-save mechanics, or tracking pucks and staying square in frenzied situations, less is often more. When I look back at my scouting reports over the years, and when I dissect video, I come to the conclusion that sometimes he works way harder than is really necessary. Overall, Rask’s style lends itself to providing shooters and elite finishers with the predicability that they can sometimes exploit to their advantage by putting the puck where they know the goalie can’t stop it. But scoring is down around the league less because the equipment is bigger and more because there has never been a period of time in the NHL when the league has had more top-shelf athletes and competitors playing the position. Rask is a poster boy for the modern NHL goaltender with his swagger and ability to make tough saves look easy. 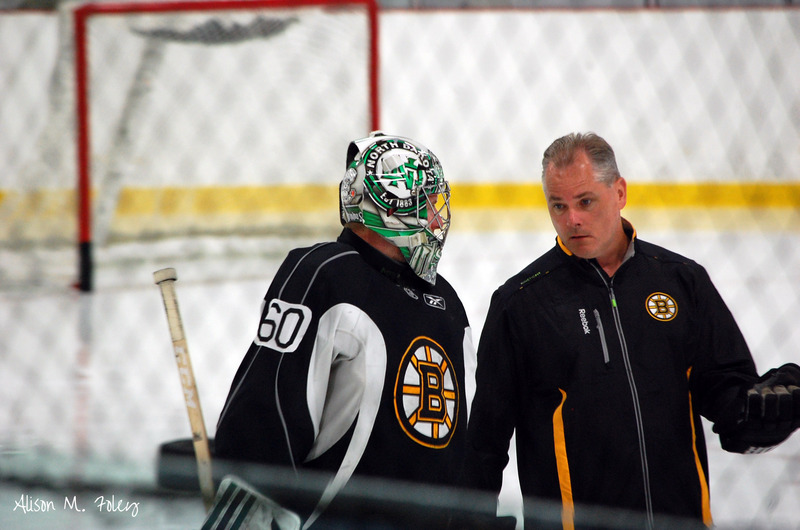 On the mental side, Rask looked tired and worn down by the end of the season, which is something to keep an eye on. 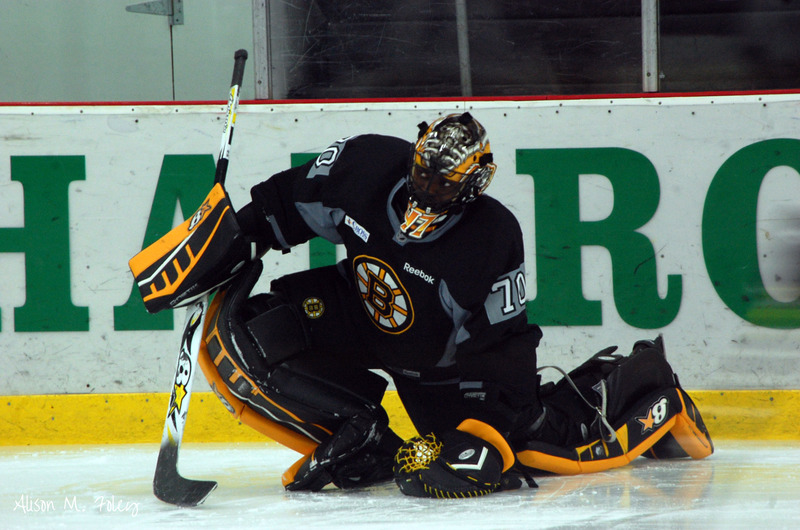 He played in a franchise record-tying 70 games last year and at one point, appeared desperately in need of a break when Malcolm Subban took the start against St. Louis. When Subban was chased from the B’s net early in the second frame, a clearly flustered Rask had to come into the game in relief. The key takeaway here is that we cannot forget that these guys are not robots and even the best need time to step back and recharge the batteries. Now: Entering the third year of his pact and at age 28, Rask is the linchpin of the B’s new season. Though critics will point to his lack of a Stanley Cup championship when debating his impact on the salary cap, even the most ardent, but intellectually honest of his critics will concede that Rask represents Boston’s best chance to make the playoffs *this* year, and as any savvy hockey person will tell you- whether in transition or in complete rebuild, if you don’t have a top goaltender, no matter what you do, you’re not likely to get far. The key to Rask’s success lies not only with a defense that admittedly has more than a few questions headed into the new year, but also with whom the B’s will turn for backup duties. Niklas Svedberg didn’t work out, but if veteran (and fellow) Swede Jonas Gustavsson plays well in camp and the exhibition season, he’ll likely get a one-year deal at the minimum to provide that capable relief. His biggest issue is durability, which might also provide several of the youngsters with a brief chance to show their mettle in the NHL on a limited basis. But for Rask’s and the team’s sake- the best bet is to go with Gustavsson. The Bruins need that cocky swagger back from Rask, and he enters the season in his prime years, best positioned to put forth his best effort. We’ll soon find out if that will be enough.